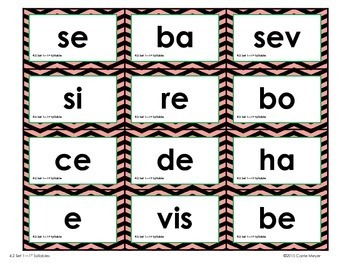 Students match first and second syllables to form two-syllable words that follow the V/CV and VC/V syllable patterns. This product contains three different sets of cards. 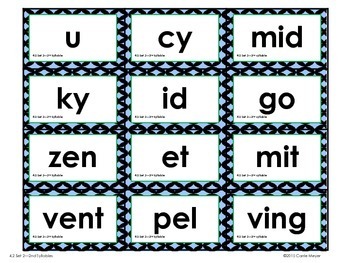 Each set of cards forms 12 multi-syllable words. 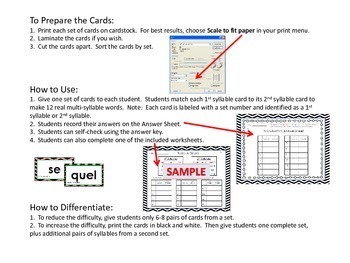 Students build the words with the cards and record their answers on the included answer sheet. For additional practice, students can complete the worksheet for each set. An answer key is also included. Perfect for a literacy center! 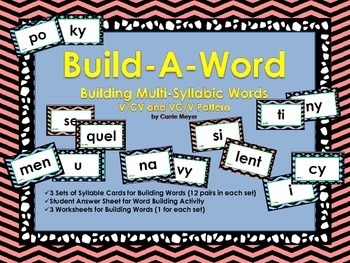 Build-A-Word: Multi-Syllabic Words: V/CV and VC/V Patterns by Carrie Meyer is licensed under a Creative Commons Attribution-NonCommercial-NoDerivatives 4.0 International License.